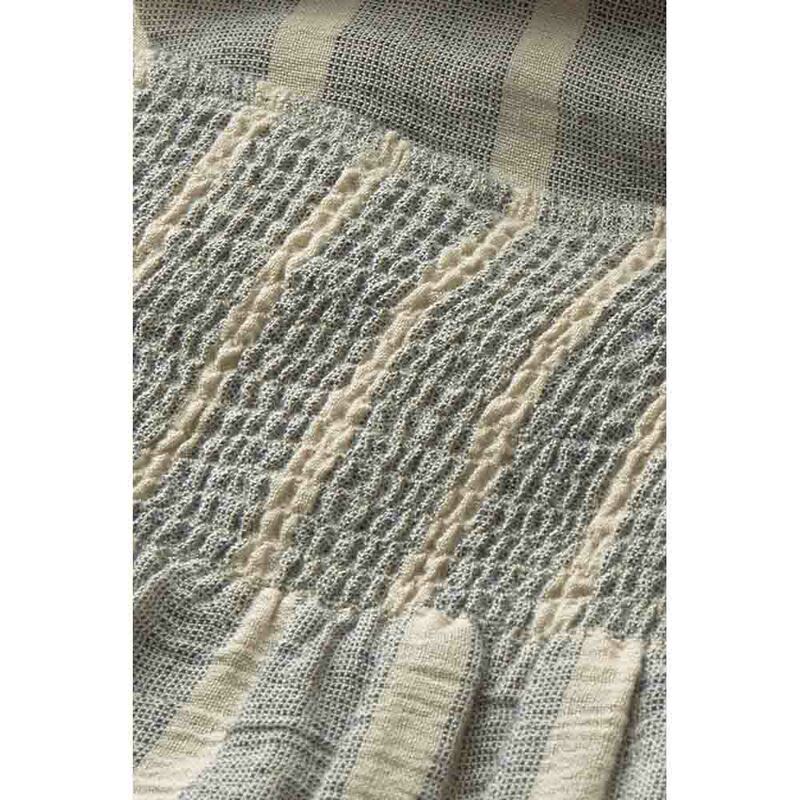 Striped loose and fluid trousers in a soft and comfortable viscose-cotton blend. 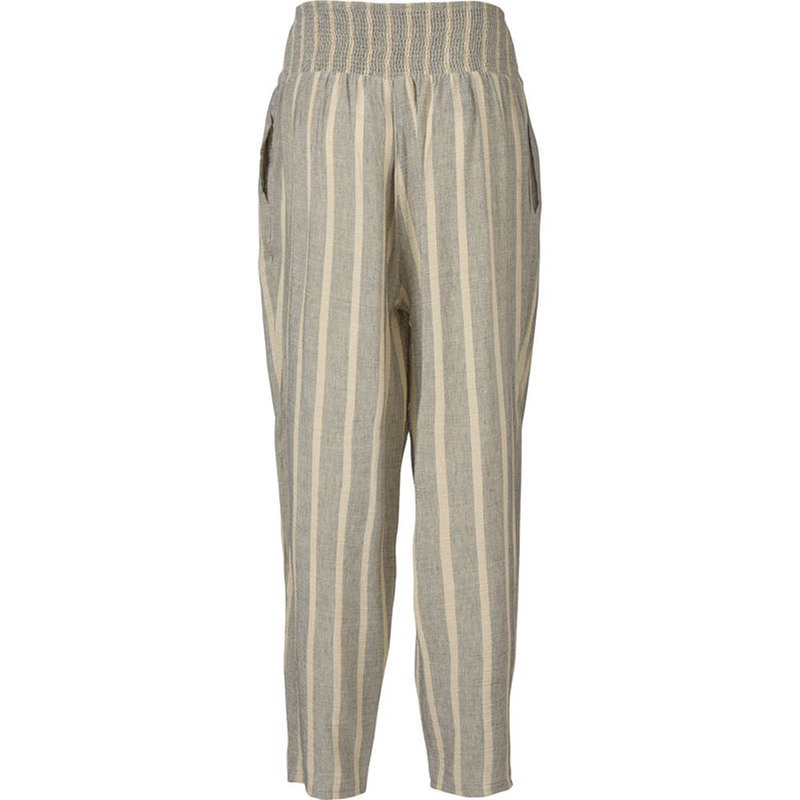 The trousers have smocking at the back of the waist so they sit nicely at the back without being too tight. They also feature slash pockets at the sides. 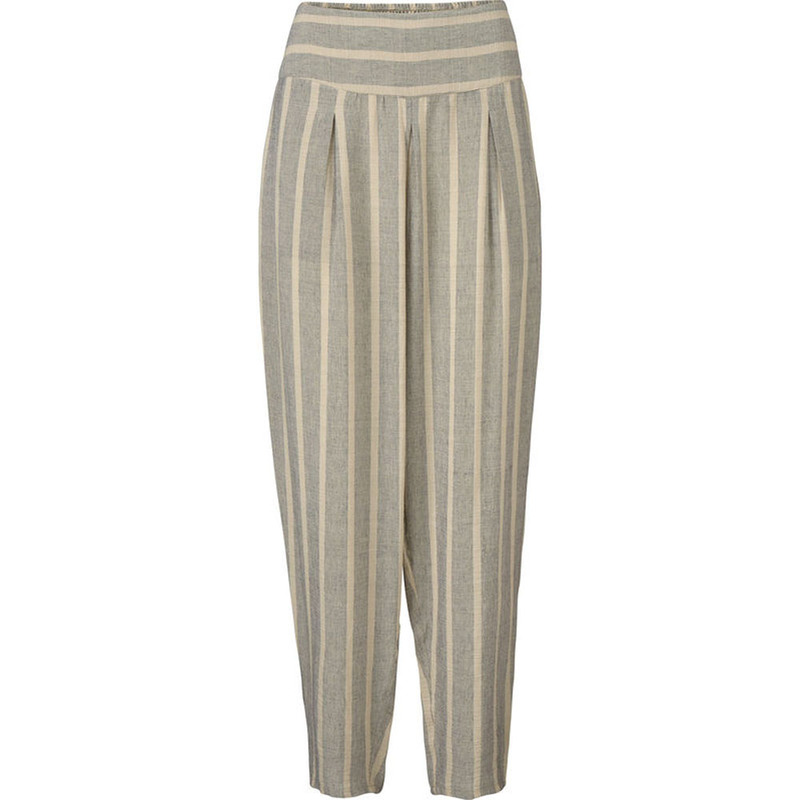 Ideal for a relaxed feminine look – either on their own or as a smart summer suit with the matching top.